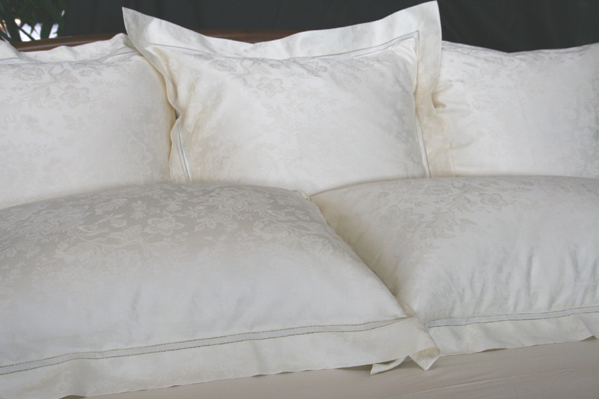 Verona is similar to Bergamo in that it is a combination of 65% Egyptian cotton and 35% Linen. The design is a floral damask and is sewn with a unique double hemstitch. Colors: bone (shown in the above image) and natural. To get an idea of the natural color please refer to the Bergamo page.